What is Bursitis? There is a good chance you’ve never even heard of this condition. Before we jump into the condition, you must first understand what a Bursa is. A bursa is a sac of fluid that acts as a cushion to protect bones and tendons surrounding the joint. If you are suffering from Bursitis, it simply means that a bursa is inflamed in the area of the affected joint. 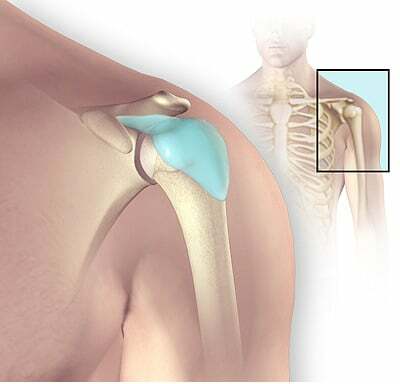 This can happen to the joint when it is overused or under pressure for long periods of time. Most people with Bursitis have jobs that require hard labor, becuase of this, Bursitis is known as the, “working man’s” disease. Though very common in laborers, you can also develop this condition from participating in sports for long periods of time. The treatment that your chiropractor may deliver is not invasive or addictive. He or she will evaluate your specific condition to decide the treatments that may work best for you. After examination, your chiropractor may apply gentle adjustments to the area, and her or she may also use adjunct therapies such as cold laser therapy to reduce inflammation associated with bursitis. Gentle adjustments and cold laser therapies may help reduce inflammation, and restore proper mobility to the area. Your chiropractor also knows the importance of making sure your entire spine is aligned. When alignment is achieved, this helps to ensure that your nervous system is operating properly, and your body may be able to heal itself. This can be extremely helpful for those living with Bursitis. Here are some benefits chiropractic care can have on bursitis patients. Visiting a chiropractor can be an effective choice of treatment when dealing with bursitis. As we learned in the beginning of this article, a bursa is a sac of fluid that acts as a cushion to protect bones and tendons surrounding the joint. When you’re living with bursitis, that simply means your bursa is inflamed causing pain and tenderness in the area. Your chiropractor is an expert when it comes to the bodies joints. If you’re visiting an expert chiropractor, he or she will be able to explain what’s taking place in your body, and how to implement treatment. Scheduling regular visits to your chiropractor can can help prevent bursitis from developing, but chiropractic treatment can also be helpful if the condition surfaces. If you are in search of a Chiropractor in Brick, Toms River, or anywhere in Ocean County NJ, the Back and Neck Center of Brick can help! Our doctors have been treating patients for over 28 years, and we are confident that we can help you too. 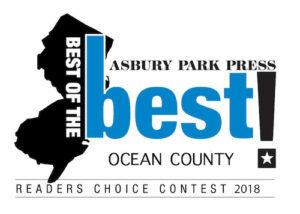 Come see why the Back and Neck Center of Brick has been Voted Best Chiropractors 9 years in a row! From 2009 – 2017, by Readers of the Asbury Park Press.